Paint manufacturers strive to introduce unique visual effects to coatings in order to visually communicate functional properties of products using value-added, customized design. However, these effects often feature complex, angularly dependent, spatially-varying behavior, thus representing a challenge in digital reproduction. In this paper we analyze several approaches to capturing spatially-varying appearances of effect coatings. We compare a baseline approach based on a bidirectional texture function (BTF) with four variants of half-difference parameterization. Through a psychophysical study, we determine minimal sampling along individual dimensions of this parameterization. 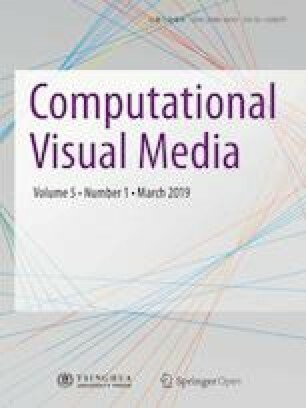 We conclude that, compared to BTF, bivariate representations better preserve visual fidelity of effect coatings, better characterizing near-specular behavior and significantly the restricting number of images which must be captured. Jiří Filip received his M.Sc. and Ph.D. degrees both in cybernetics, from the Czech Technical University in Prague. Since 2002 he has been a researcher at the Institute of Information Theory and Automation (UTIA) of the Czech Academy of Sciences. Between 2007 and 2009 he was a Marie-Curie research fellow at Heriot–Watt University, Edinburgh. He combines methods of image processing, computer graphics, and visual psychophysics. His current research is focused on precise measurement and modeling of material appearance. Radomír Vávra received his M.Sc. and Ph.D. degrees from the Czech Technical University in Prague. He is currently a researcher at the Institute of Information Theory and Automation (UTIA) of the Czech Academy of Sciences. His research interests include accurate material appearance measurement techniques and material visualization methods in computer graphics. Supplementary material includes: (1) an example of isotropic BRDFs of captured materials unfolded to 2D images; (2) an comparison between photographs and renderings from the tested representations for three effect coatings; (3) analysis of per-pixel dynamic behavior by means of per-pixel mean and variance images for video of real objects and dynamic renderings of the tested representations, and is available in the online version of this article at https://doi.org/10.1007/s41095-019-0134-3. The authors would like to thank Frank J. Maile from Schlenk Metallic Pigments GmbH for sample preparation and inspiring discussions, our colleague Martina Kolafová for organization and running of psychophysical experiments, and all anonymous subjects for the time they devoted to participation in visual experiments. This research was supported by Czech Science Foundation grant 17-18407S. Supplementary material, approximately 67.7 MB. This article is licensed under a Creative Commons Attribution 4.0 International License, which permits use, sharing, adaptation, distribution and reproduction in any medium or format, as long as you give appropriate credit to the original author(s) and the source, provide a link to the Creative Commons licence, and indicate if changes were made. The images or other third party material in this article are included in the article’s Creative Commons licence, unless indicated otherwise in a credit line to the material. If material is not included in the article’s Creative Commons licence and your intended use is not permitted by statutory regulation or exceeds the permitted use, you will need to obtain permission directly from the copyright holder. To view a copy of this licence, visit https://doi.org/creativecommons.org/licenses/by/4.0/. Other papers from this open access journal are available free of charge from https://doi.org/www.springer.com/journal/41095. To submit a manuscript, please go to https://doi.org/www.editorialmanager.com/cvmj.